Vegetarians, foodies, and health nuts, it’s time to celebrate! 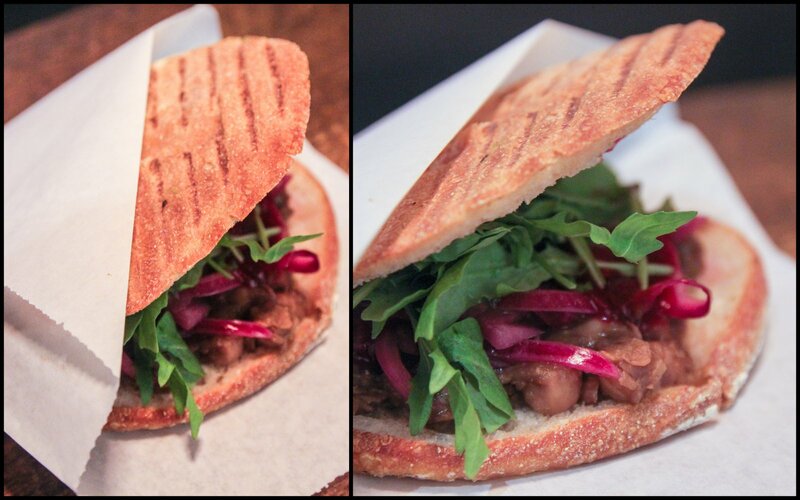 Bombay Sandwich Company’s tasty and innovative Indian inspired food is exactly what we have been waiting for. Shiv Puri & Shikha Jain, founders of Bombay Sandwich Co. Founded in the spring of 2012 by Shikha Jain and Shiv Puri, Bombay Sandwich Company was a vendor at Smorgasburg for two years before it opened as a cafe in Flatiron in December 2013, serving up all their original delicious Smorgasburg offerings plus more newly created dishes. Shikha found that it was near impossible to find healthy and tasty vegetarian food in the city. “When I’m eating out, as a vegetarian, it’s always the same kind of sandwich, a hummus sandwich or a portabella mushroom sandwich …it’s all I get to eat all the time.” The lack of options for vegetarians motivated Shikha and Shiv to bring delicious Indian inspired sandwiches to the hungry people of New York City. According to Shikha, “There’s so much variety in Indian food itself that sandwiches never get a chance.” She grew up on Indian sandwiches and wanted to introduce something she loved to the people around her and so Bombay Sandwich Co was born. Bombay Sandwich Co. is more than just sandwiches though. They also offer amazing wraps, salads, and bowls, which are incredibly popular with the lunch crowd. 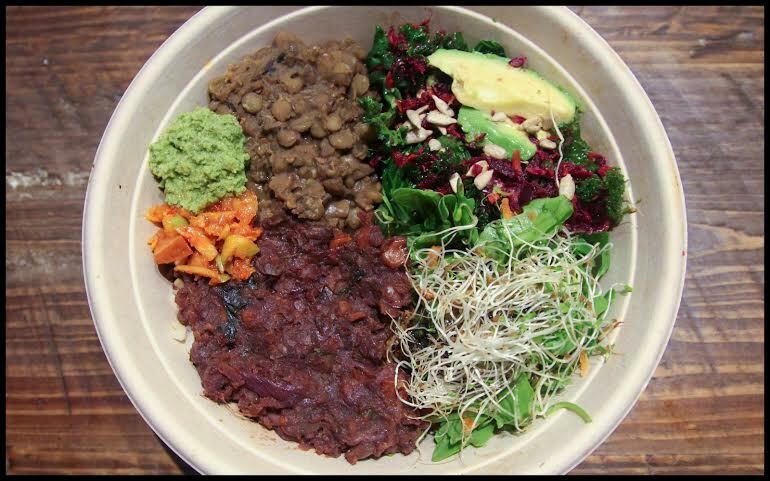 The bowls include options such as French Lentils and Sweet Potato Salad. The salads include offerings such as Kale & Hearty and Organic Quinoa. For those who want a greater variety, customers can even design their own platters by choosing from a combination of bowls and salads. The platters come with brown rice, homemade Kale & Walnut Pesto as well as an Apple & Garlic Pickle – talk about healthy and delicious! The most popular items are the Chana Masala sandwich, the Honey Fennel Grilled Cheese, and the Smorgasburg Sweet Potato. The Quinoa salad and the Kale & Sweet Potato wrap are also crowd favorites. When I visited BSC, I went for the classic Chana Masala sandwich and it was absolutely mouth-watering! In addition to being a gorgeous looking sandwich, the chickpeas were hearty and spiced to perfection, topped with arugula, pickled onions and a dash of Date Chutney and Green Chutney to bring all the flavors together. I also tried their Yogi’s Choice Organic Smoothie, made with almond milk, turmeric, cardamom, crushed almonds, and lightly sweetened with jaggery. It was so good – I could literally drink this smoothie every single day. BSC’s philosophy is simple: to feed people great tasting food that’s also really good for the body. That’s why their entire menu is plant-based, seasonal and locally sourced food that’s also made in-house following the Vedic tradition. Nothing is processed. “We use a lot of turmeric, cardamom…great spices that help in digestion. Everything is well-balanced, yet tasty. The best thing is that our food is made with very little oil, mostly steamed and boiled,” Shikha told me. So the next time you find yourself in a vegetarian rut, desperately looking for something satisfying, but also delicious and healthy, make a visit to Bombay Sandwich Co and try one of their sandwiches, or better yet, make your own platter. The blessed union of healthy and tasty is only within an arm’s reach at Bombay Sandwich Company. 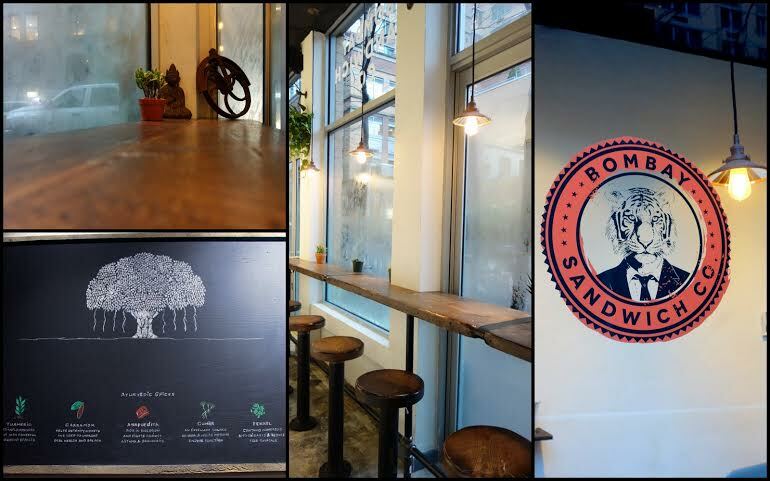 We’re excited to be partnering with Bombay Sandwich Company to feed corporate offices throughout New York City. If you’re office would like to have their amazing food catered to you, please contact us at info@foodtoeat.com and we can make that happen. Next Entry:Celebrate the Thai New Year with FoodtoEat!